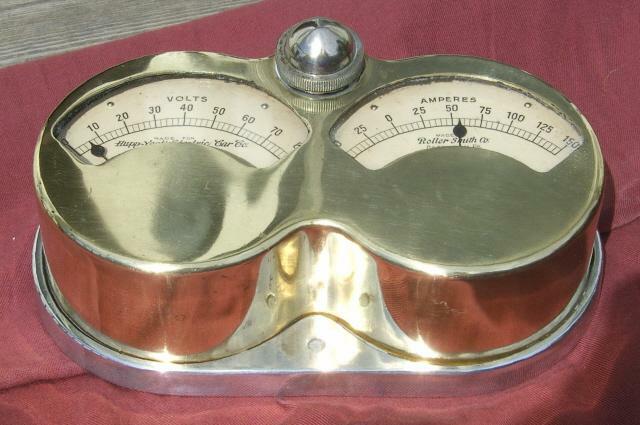 Original Roller-Smith amp/volt meter made exclusively for the Hupp-Yeats Electric Car company. This meter has a 24kt gold plated face, nickel-plated lamp dome and polished aluminum base. It was likely removed from a "DeLuxe" model and then painted blk.